The program Redi Rock wall is used to design and check a retaining walls made from blocks produced by Redi-Rock, Inc (USA). The program is developed as a part of GEO5 software and includes freeware versions of programs Slope Stability and Spread Footing. Database of blocks and setbacks produced by Redi-Rock Inc.
* Redi Rock Wall download link provides freeware version of the software. 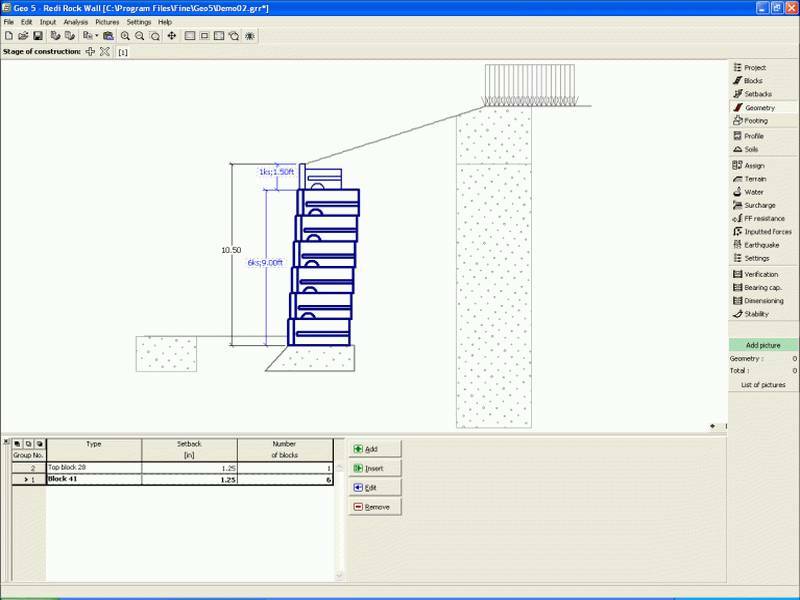 Frew enables engineers to define and solve even the most complex embedded retaining wall design problems quickly. SRWall is design software for Segmental Retaining Walls. ASDIP Retain is a suite of modules specifically dedicated to the design of retaining walls, based on the latest IBC / ACI 318 specifications, that greatly simplifies the time-consuming calculations in any structural engineering office. 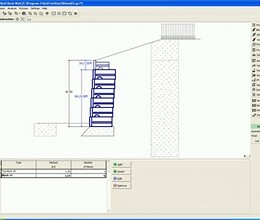 This spreadsheet computes lateral pressure against retaining wall due to vertical surcharge loads. Thanks for geotechnical eng software. Redi Rock Wall has been rated 5.0 out of 5 points. A total of 1 votes cast and 1 users reviewed the software.